Immunodeficient mice, like this one, need specialized care to ensure their health is not compromised. They are important for several research areas including immunology, infectious disease, cancer, and organ transplantation. These particular mice are bred so that they lack a thymus gland, which reduces the number of T cells in the body, causing suppressed immunity. 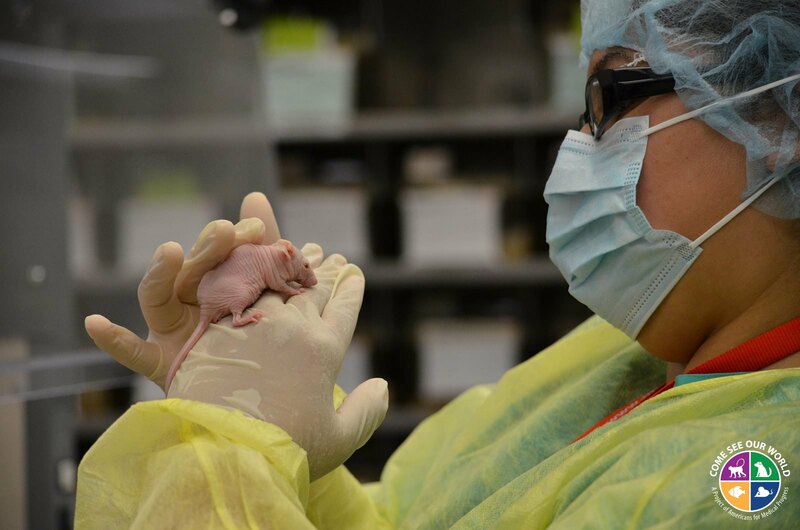 This allows researchers to implant human tumor tissues in these animals, without the risk of rejection, and test treatments to slow or reverse tumor progression.